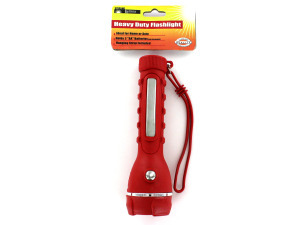 These heavy-duty flashlights are ideal for home or auto use and include a hanging strap. 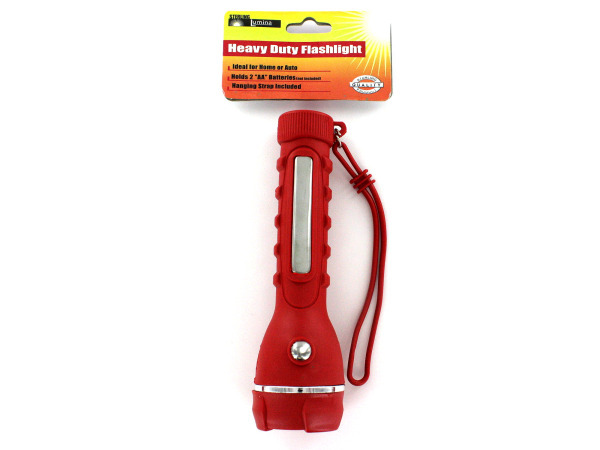 Small size makes these easy to add to a tool box, a glove box or an overnight bag. Each requires 2 "AA" batteries (not included). Assorted colors. Each measures 6 1/4". 18 pcs. 36 pcs. 54 pcs. — 72 pcs.